LinkedIn has moved on from being thought of as a ‘digital resume’ where people only log in to update their skills when searching for a new role. These days it’s a great place to publish your original content! It’s a must if you’re trying to build your personal brand and position yourself as a thought leader in your field. Most of you would have a LinkedIn profile, and have probably at one time or another posted a status update. If you do it regularly, that’s awesome! You’re already half way there. You know who’s who in your sector. You already have connections and followers. Use LinkedIn Published Posts to extend this to building influence beyond your connections. Published posts go to LinkedIn’s Pulse platform. Here they can be swept up and read and shared by anyone, whether they follow you or not! And not only that, each time you publish a post your own connections will receive a notification that you did so, encouraging them to come and check it out. Top Tip: Use tagging. People on Pulse don’t follow you necessarily – they follow subjects that interest them. Think about your tags carefully, you are only allowed 3. LinkedIn also has a product called Slideshare where you can post publications. 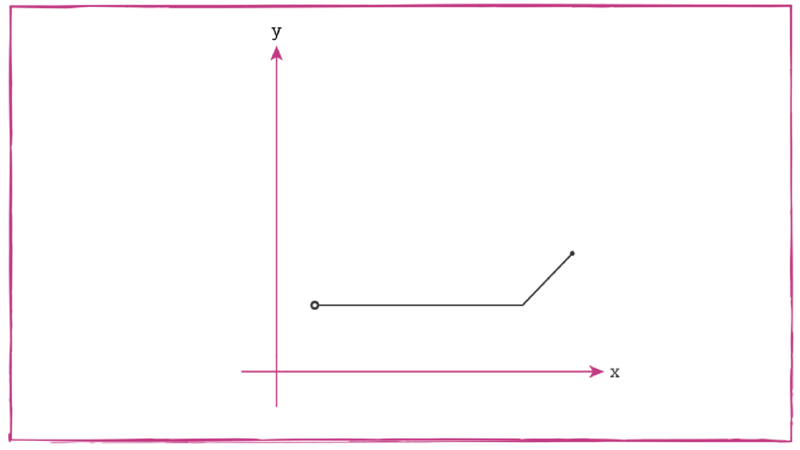 These are similar in essence to the old PowerPoint Publications but more image-focused. You can publish your own LinkedIn Slideshare content and depending on the quality and category can be seen by tens to hundreds of thousands of people. Pretty cool huh? Top Tip: Use content that has performed well as a blog post and re-create as a Slideshare. It’s a bit of work to make them look good and you don’t want to risk it on un-tested content. LinkedIn Groups can be a great place to publish valuable content to your industry peers. Just make sure it’s a group in which you contribute to the discussion, dropping in to post a link to your latest post is considered a bit rude if that’s all you ever do. Top Tip: Seriously, don’t be that guy who drops in once a week to post a link to their latest article – the rest of the group secretly hates you. LinkedIn Pages are a good way for your company to have a business profile on LinkedIn, and your content can be shared there. LinkedIn Pages have a post max of 400 characters, so not really any good for articles – just a blurb and a link with an eye-catching image is all you need. If it’s not your company you’ll need to submit your article to the page admin/s to post for you should they deem it appropriate to come from their corporate voice. Top Tip: You can advertise from LinkedIn Pages. Targeting examples that work well include roles within industries, i.e. Assistant Manager in Human Resources. Whether you choose LinkedIn as a place to publish original content or not, you can add your links under publications on your profile. This way people will be able to find them if they are LinkedIn stalking you; which they will if you start getting some attention. Top Tip: You can set your LinkedIn to private so when you stalk people your name is not listed, however this might not be the best idea. 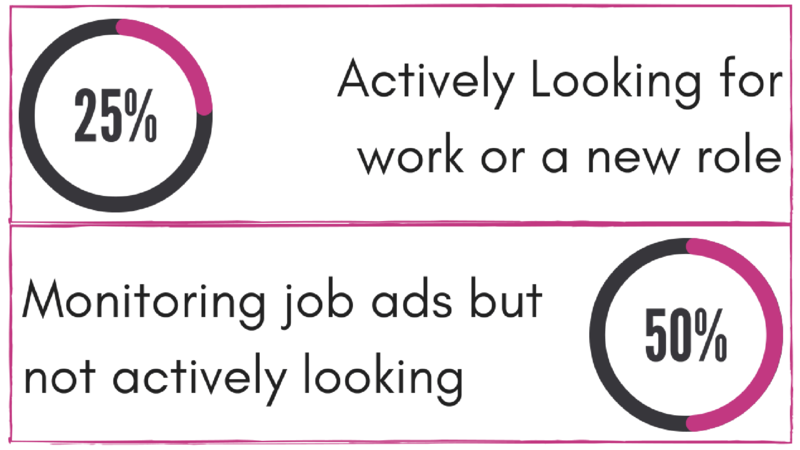 The first thing you do when someone checks out your profile – is look at theirs in return! These are my top no-fuss tips to using LinkedIn for your personal branding. Do you have any to add? Do you have any predictions now Microsoft has purchased the platform? I’d love to hear your feedback! 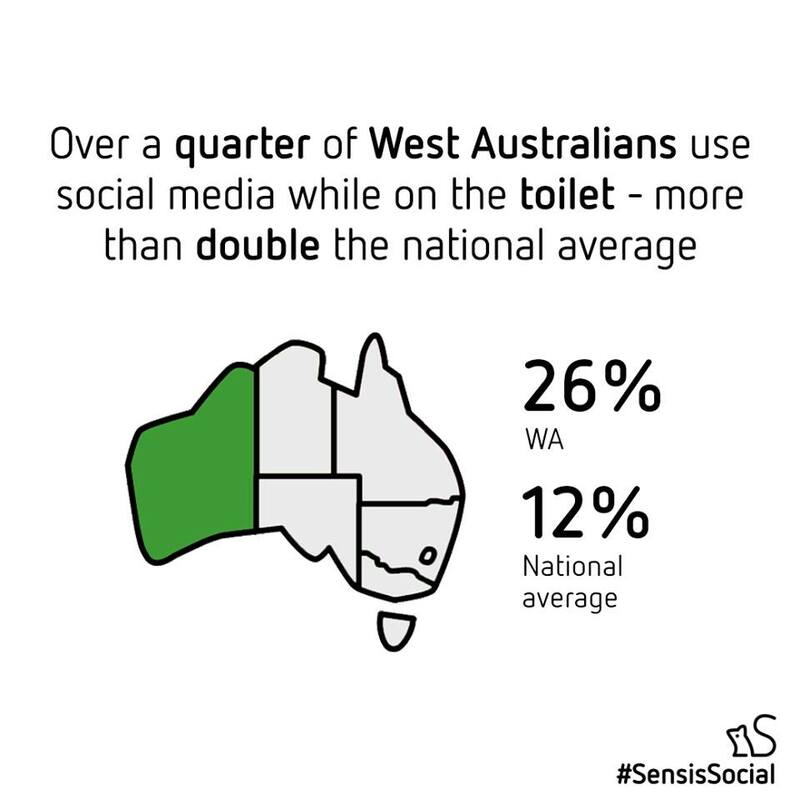 Sensis release a Social Media report annually, and the reason Aussie Social Media stat nerds like me care is because there’s not a lot of social media reports that analyse purely Australian data. 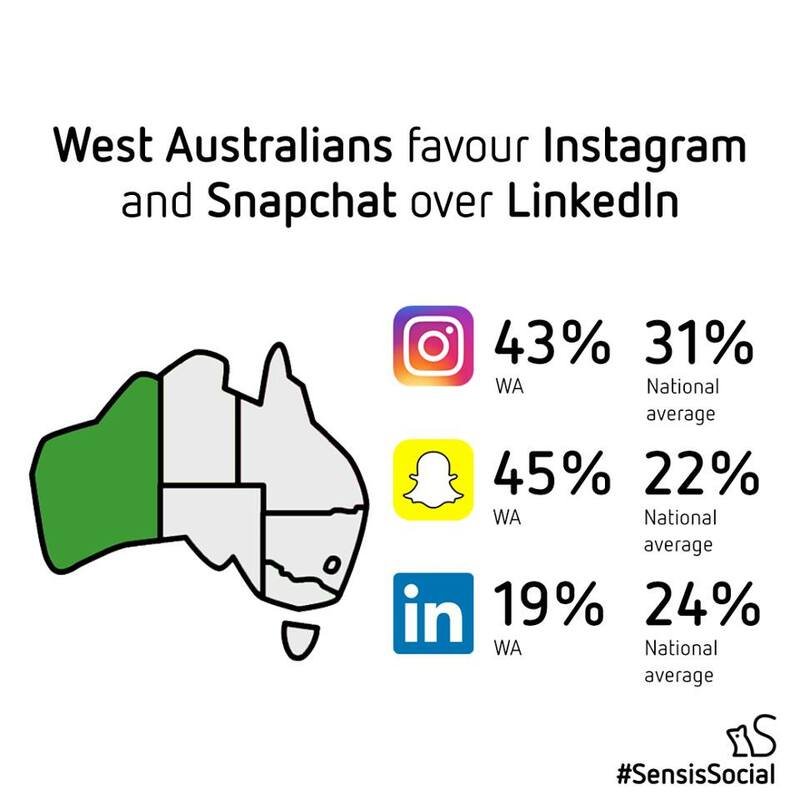 We can be a bit different down here on our island, and real data is real valuable to all Social Media players, the businesses who use it, the people employed by those businesses and the outsourced agency and freelancer folk. Ultimately, the more you know about the audience demographics, their use, expectations…the things they care about and respond to AND the things that piss them off – the better job you will do at trying to gain attention in an increasingly crowded market. So here’s the stuff I pulled from their 71 page report that I think will be of value so you don’t have to read the whole thing yourself! Australians are now spending more than half a day per week (12.5 hours) on Facebook alone, up four hours from last year. 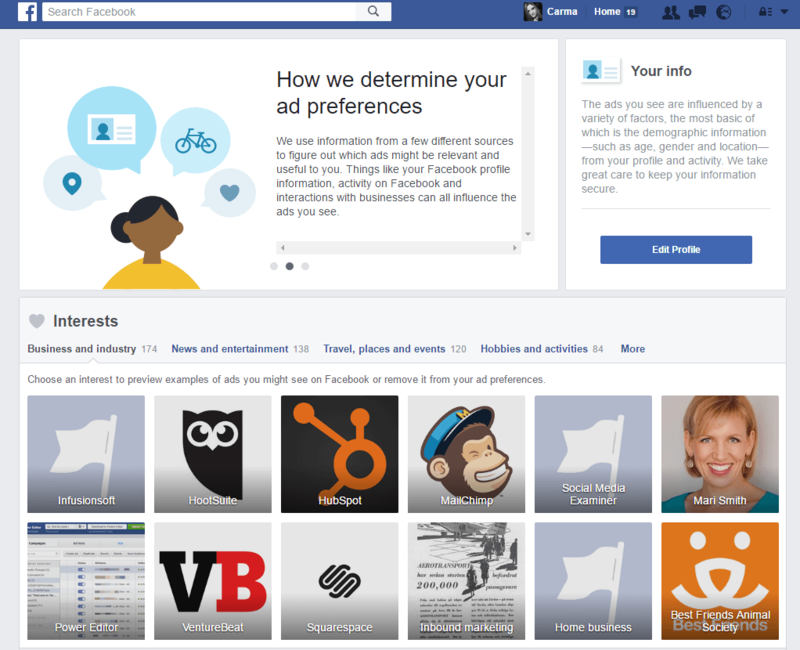 Facebook has maintained its almost ubiquitous appeal – 95% of users. 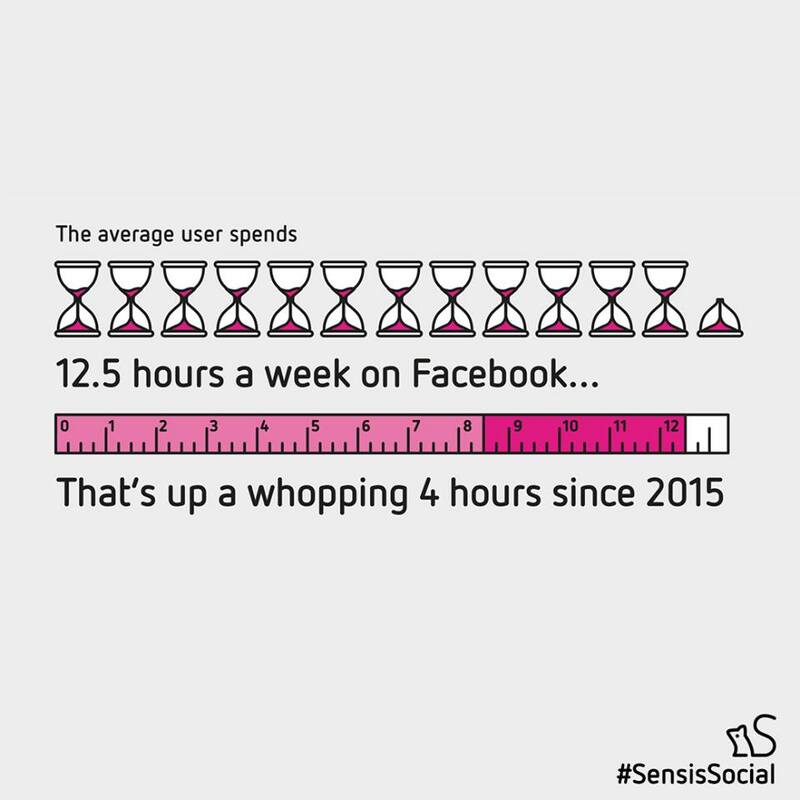 The average number of times people access Facebook has remained relatively steady at 32 times a week, but the amount of time spent on each occasion has increased from 17 to 24 minutes. My takeaway from this: Anyone who tells you their customers “aren’t on Facebook” could be misinformed. Facebook is by no means dead, and continues its dominance of the Social Media platforms. 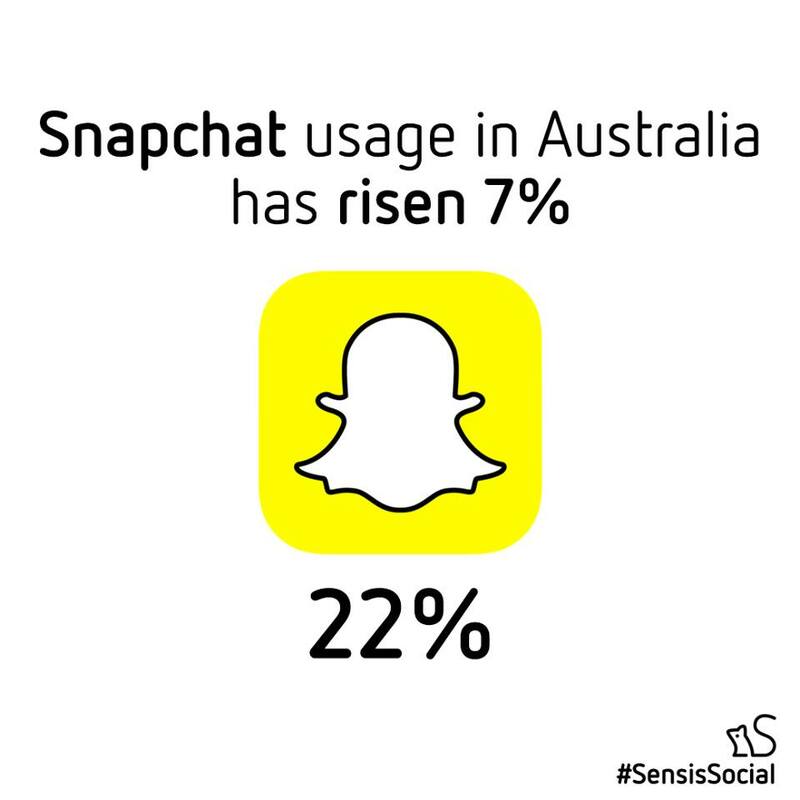 Social Media use is increasing! Instagram (31%) is on a growth trend, almost doubling its reach since 2013. This platform has really captured the younger demographic, used by 58% of 18-29 year olds. 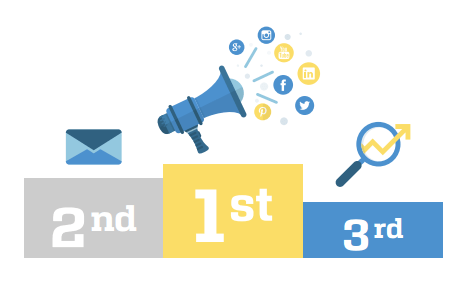 Business Social Media Presence is increasing! 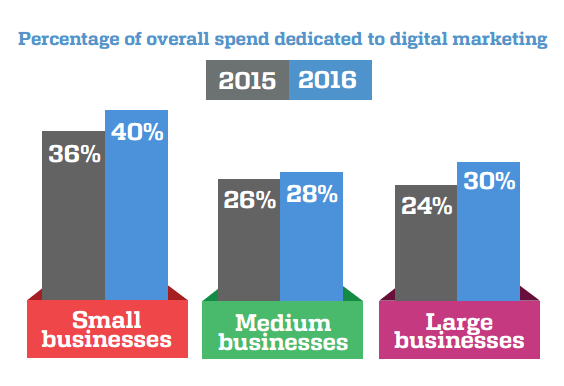 31% to 48% for small to medium businesses and 56% to 79% for large businesses. 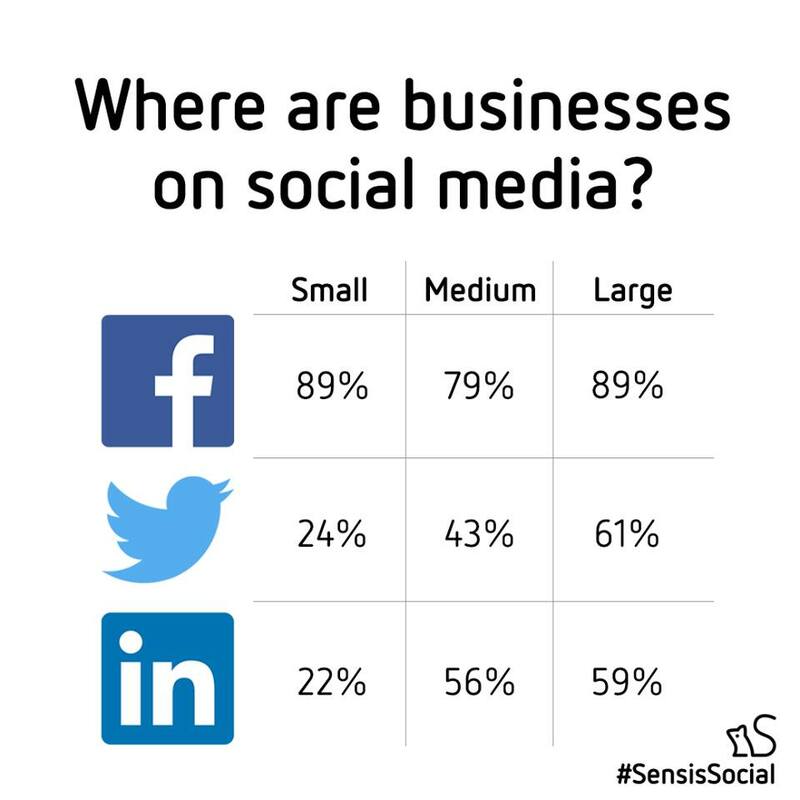 Forty eight percent of small and medium businesses have a social media presence compared with 31% last year, while 79% of large businesses do, which compares with 56% last year. Over four in 10 medium sized businesses use Twitter (43%), while this figure increases to 61% for large businesses. Instagram is also reasonably popular among medium (28%) and large (42%) sized businesses. 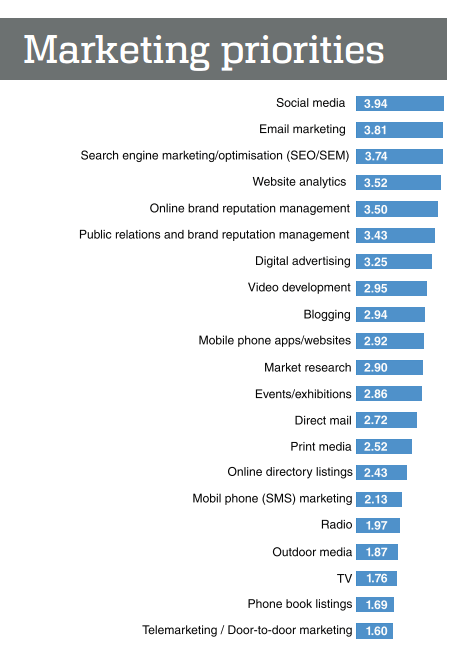 YouTube (41%) has a similar penetration in large businesses. 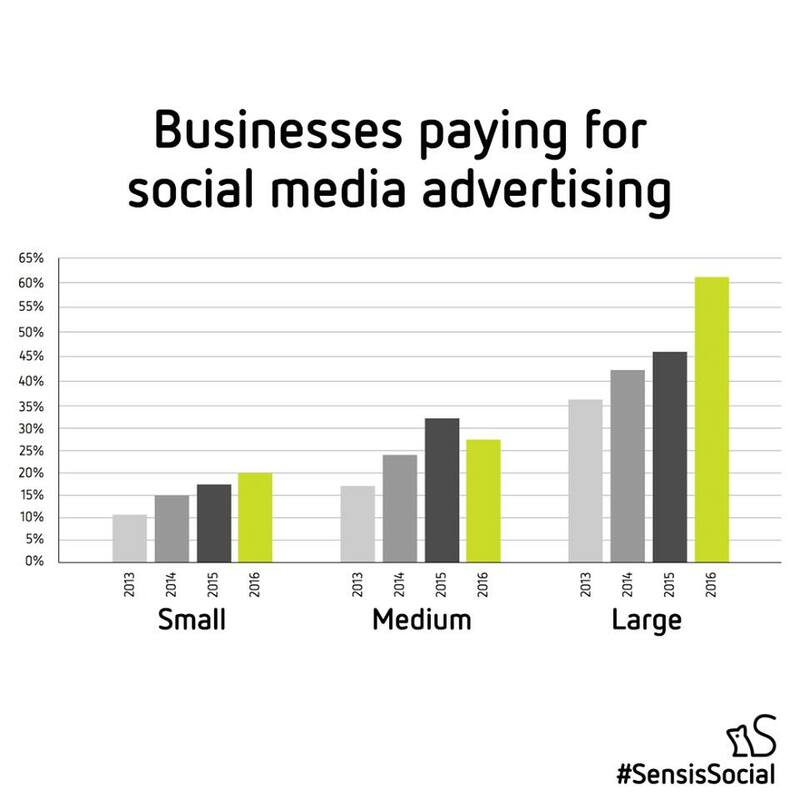 Instagram is also now used by over a quarter of medium sized businesses (28%) but its penetration in the small business segment remains much lower (12%). 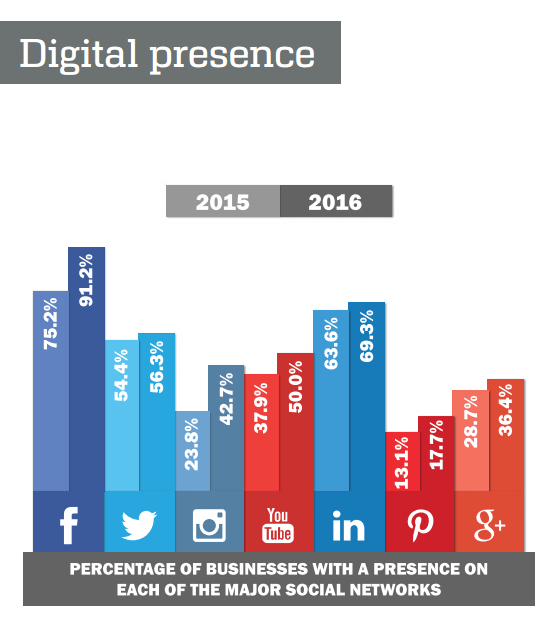 More businesses now have a social media presence than has previously been recorded. 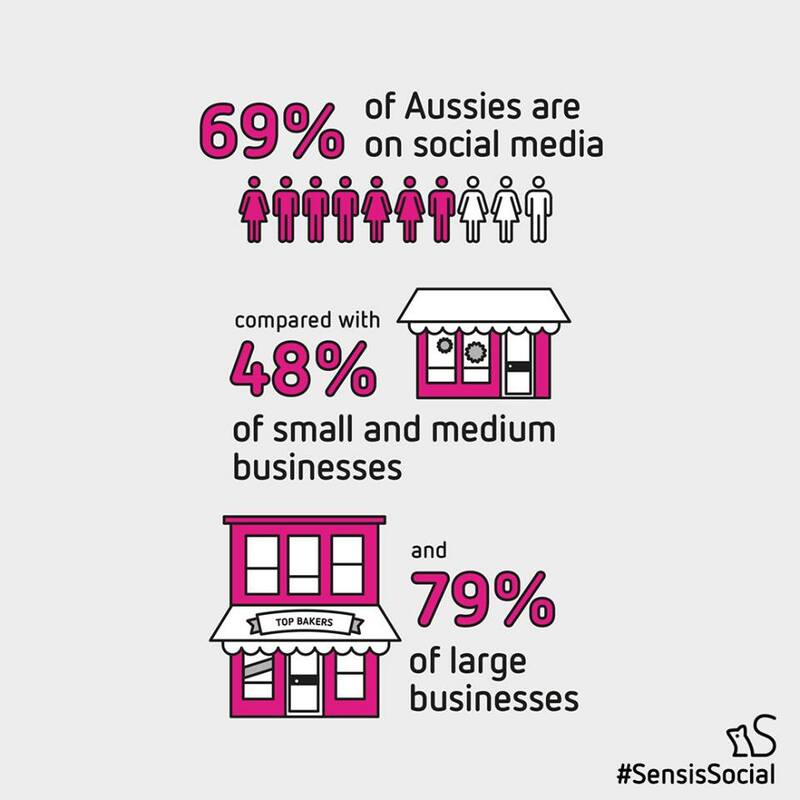 Forty eight percent of small businesses, 54% of medium businesses and 79% of large businesses are now on social media. 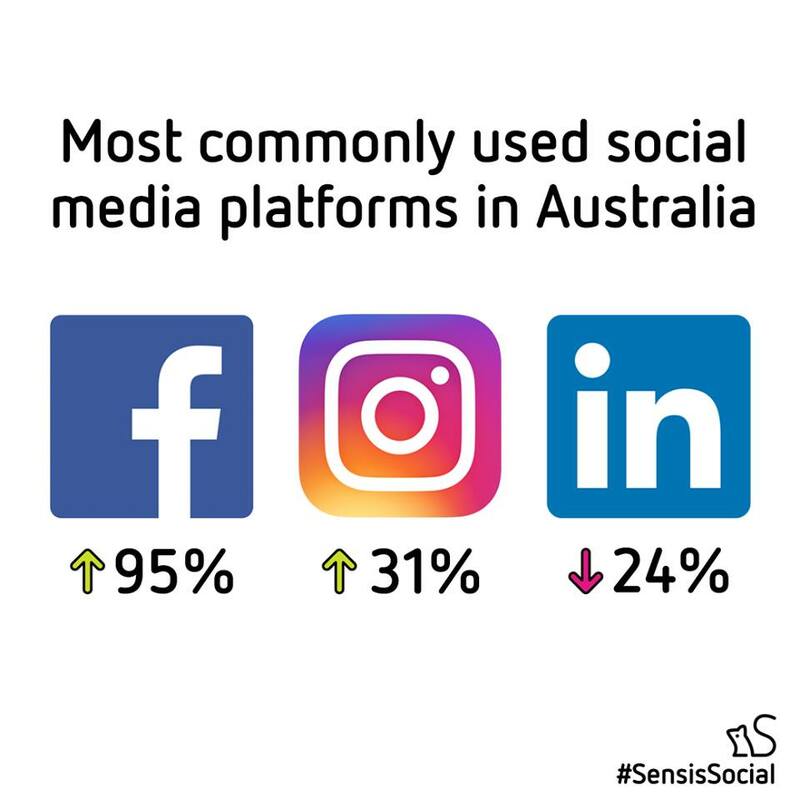 The businesses that were dragging their feet are realising they are being left behind and launching their Social Media channels. 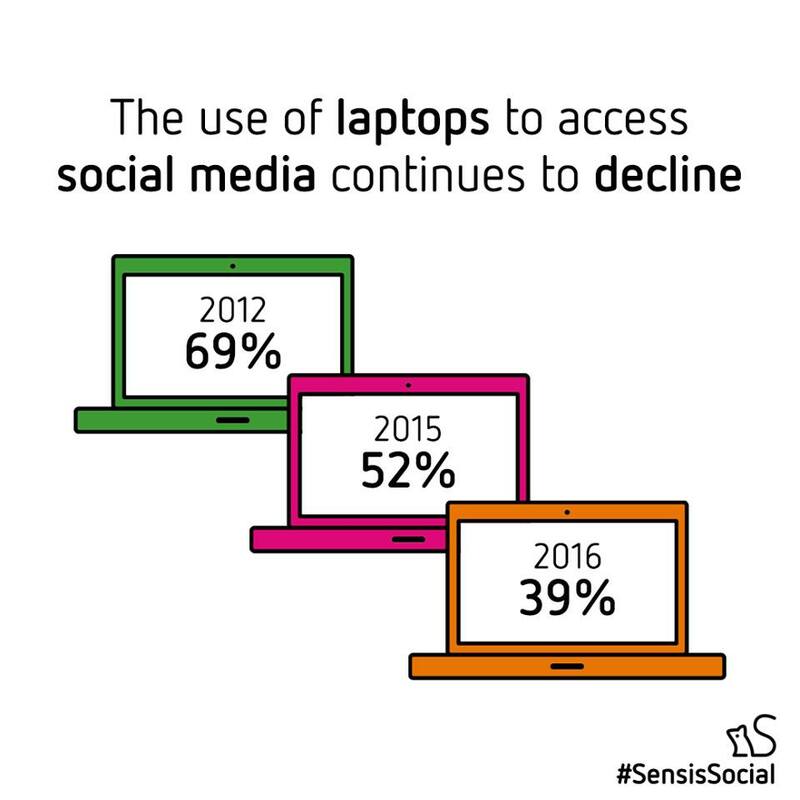 Social isn’t going away. There are many businesses doing a good job of their Social and brands want this competitive edge for themselves. The other aspect of this is the longer you wait to get your business on Social Media the harder it’s going to be to find your place in the newsfeed. It’s already a much tougher environment for organic growth than it was when I started using Social Media to drive business 5+ years ago. You use Social Media differently according to your age group! Visual platforms like Facebook, Instagram and Snapchat are more popular for 18 to 29 year olds, and LinkedIn and Google+ for 40 to 49 year olds. Smartphones are now the most popular device, overtaking laptops which have lost some appeal. Why does this matter? Due to the varying functionality and display sizes across desktop and mobile Social Media, make sure your content and Call To Action (CTA) are “mobile-first” meaning, optimised for viewing and use on a phone. It’s important to make your images look appealing on mobile, as this will determine whether people will consume your content. Australians own an average of three Internet-enabled devices, which underlines our strong appetite for online activity. People are still researching businesses on Social Media! Online blogs and reviews remain a fairly widespread influence on purchasing decisions with 60% of social media users claiming to read them before making a purchase. 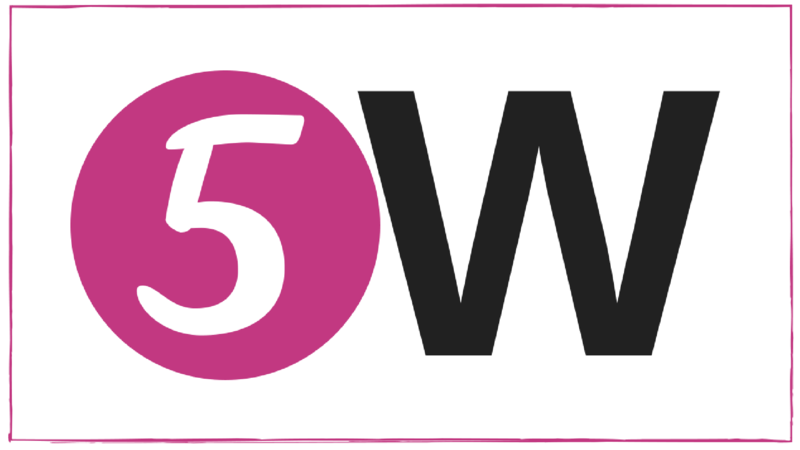 Fifty eight percent will look at up to five reviews before making a decision. 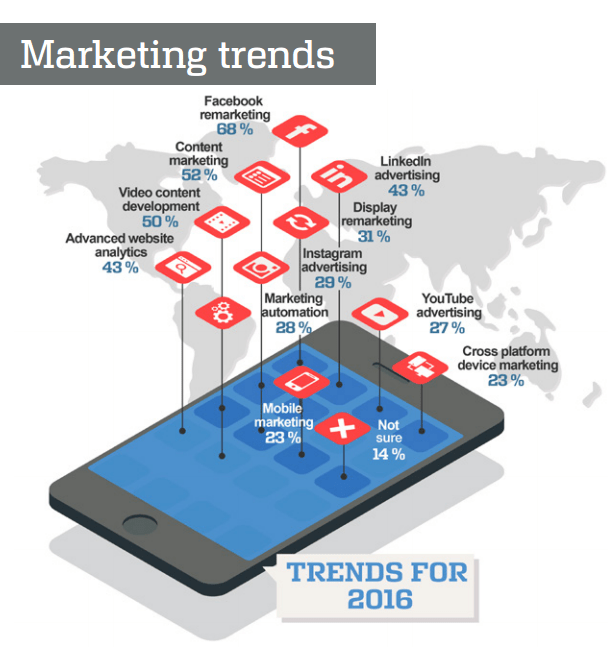 Social Media advertising is increasing! 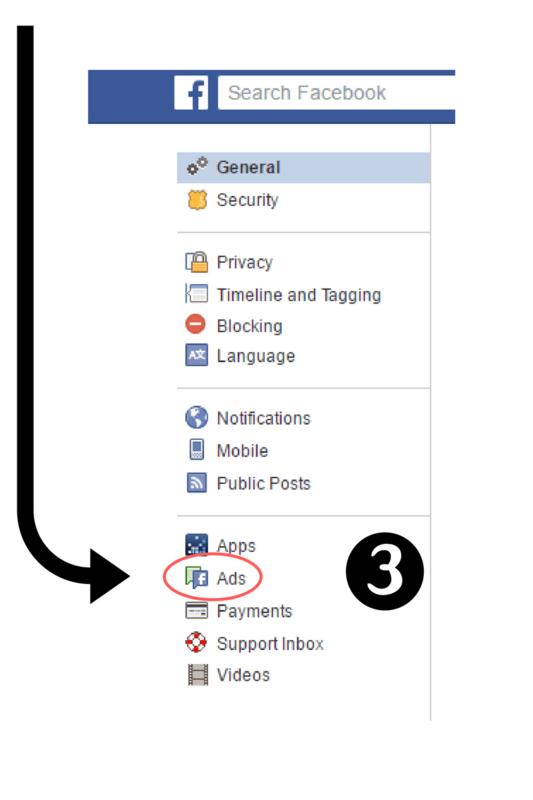 Over eight in 10 of all businesses who advertise on social media have placed an ad on Facebook. Here’s some WA stats for my local folks! We don’t take ourselves too seriously! If you want to view the full report here’s a link for you! Business Blogging – Do I Need It? I don’t have time to write a blog. Im not a good writer. How will having a blog benefit my business? You may have asked these questions! This post is about answering them and more to explain why you need to be blogging for your business. At the end of the day it’s not really for your website (I mean it doesn’t care if you blog or not) I’m talking about optimising your website to do what you need it to do, which is create leads and customers for your business! 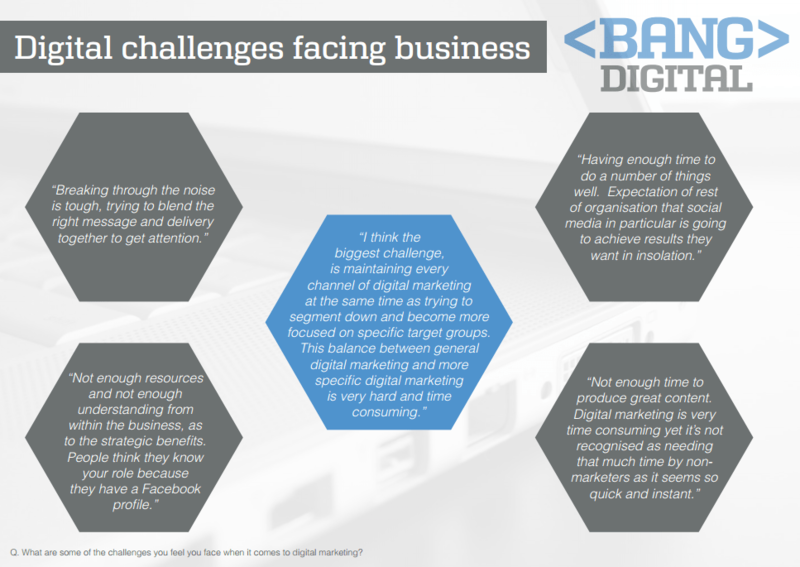 So why will your website be better with a blog? When you have a blog that provides relevant, up to date, useful information for your target market that’s not available anywhere else you have become a resource. They have a reason to visit your website other than to look at your products or services. Not only that, but if they like what they see (or it served a purpose for them) they are more likely to visit your website again next time they need that information. Blogging regularly can make visitors into fans, which again can turn them into leads. Your visitors may even share your post, follow your blog or sign up to receive your blog posts via email. That’s cool huh? Google likes it fresh! Writing helpful, relevant blog posts can boost your organic search rankings – helping people find your website more easily. We all want a nice position at the top of our relevant Google search terms! 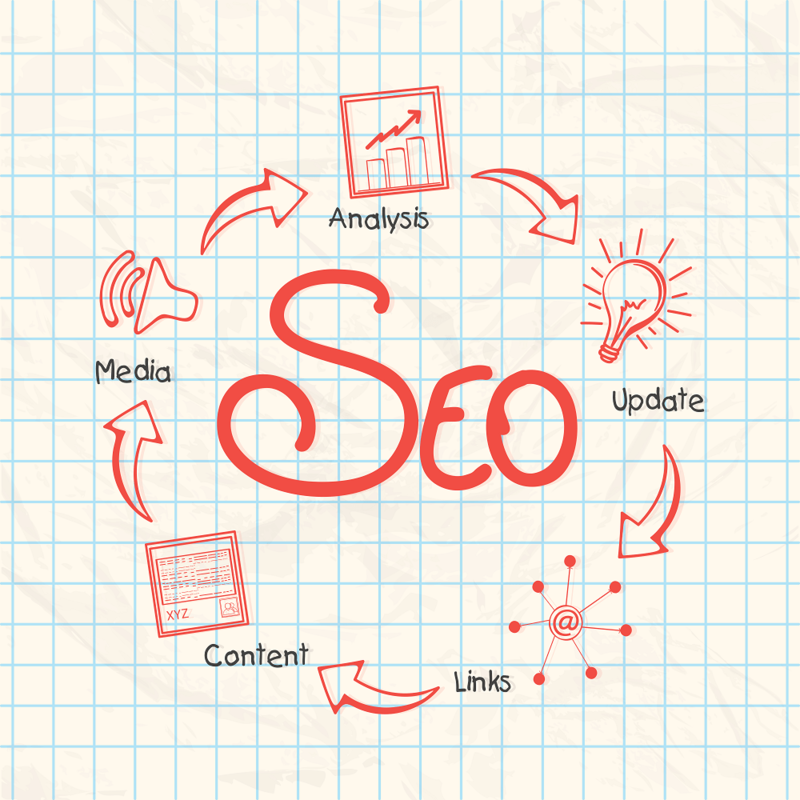 Business blogging that follows the golden SEO rules and good web practises will rank higher than those who don’t. Having a website that was built and left to go stale is not going to help your search rankings. You could come out on top of your competitors just from keeping your website fresh and regularly publishing high quality blog posts. If you aren’t sure what retargeting is just think back to a time where you went to a website looking for some information and the next thing you know, you see their ads in your Facebook newsfeed. This is retargeting. You might think “How did Facebook know I was just on that website?” That’s easy – you were pixeled. Retargeting is a very effective way of being able to tell who has been to your website and creating messages for them to entice them back. It’s both a bit creepy and super-awesome at the same time! 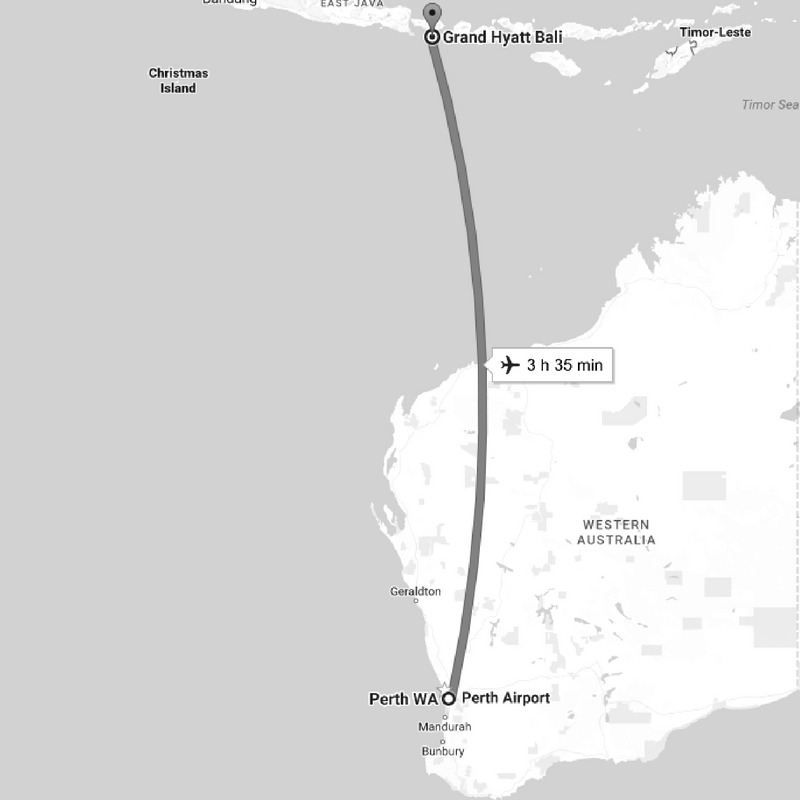 Websites can be set up to place a piece of tracking code (a pixel or cookie) that identifies you as having visited that site, or even pages within the site. This way marketers in the know can offer you incentives to get you back and get you clicking! So – get people to be interested in your blog posts, which they go to your website to see, where they are pixeled – making you able to retarget them in other parts of the web. Getting people to sign up to your email database is a great result of business blogging! 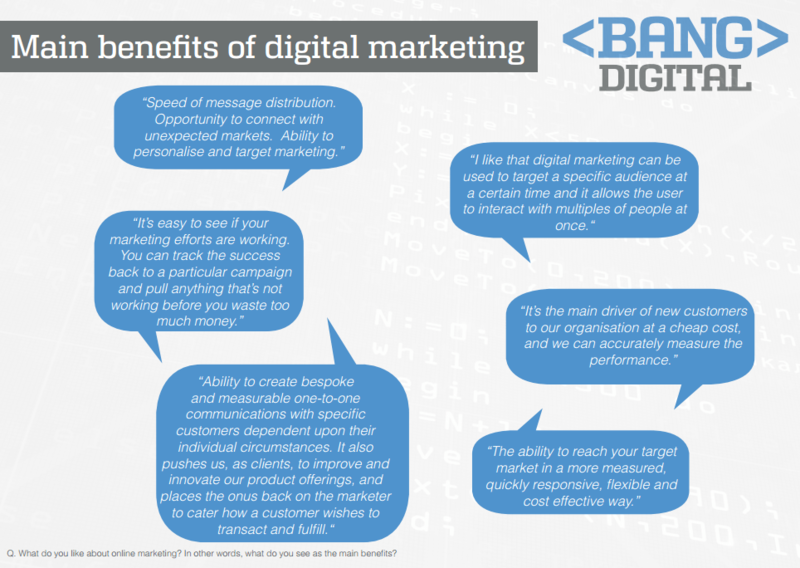 Then you can send them marketing emails, still one of the most effective marketing methods around! The power of being invited directly into people’s inboxes is something your business should be utilising if you aren’t already. I’ve written in a previous post about how I think Social Media Marketing and your email database are BFFs so we won’t explore this further here – but trust me if you do one thing for your business marketing it’s start that database! What does this have to do with your business blog? If people like your content they will sign up so they don’t miss the next post. Your blog posts can have a Call To Action (CTA) at the end asking people to sign up for more posts, a free quote, a discount or any number of other things and once you have that coveted email you can start sending people relevant information about your business, special offers or more helpful and relevant blog posts. This section is where I’ll discuss why having a blog is good for your brand and business image. In our modern world people want to know the story behind things, including your business! How did you start, what is your message, and what do you believe in? These concepts can be hard to convey, so writing about them on your business blog is a way for your customers and potential customers to find out more about your business. 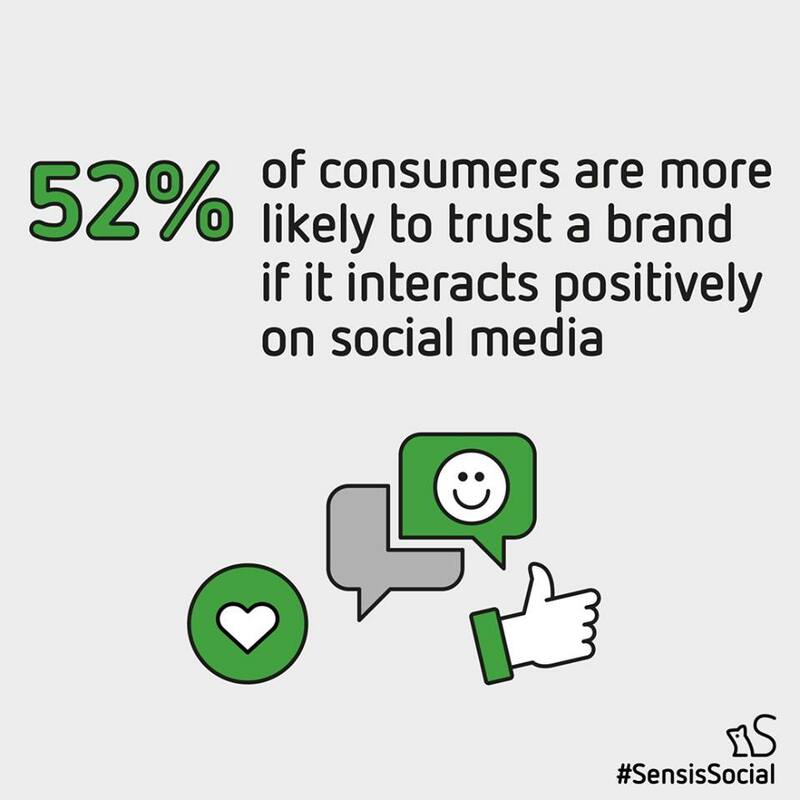 People are more likely to buy from a brand they feel a connection to, and they love hearing behind the scenes content not everyone knows about. They feel like part of the team. They feel smart when they tell their friends about it. People buy from brands they trust. Unless you have an incredibly niche product or service there’s someone out there who has a similar offering to you. If your competitor’s product (or service) is the same or similar and it’s at a similar price point you need to make buyers choose yours over theirs. If your targeted customers have been helped or entertained by your blog posts they are way more likely to choose your business when it comes time to buy! They know you. They like you. They trust you. They even (hopefully) let you into their inbox! As with the point about trust above, great blog posts will build your professional authority. I wrote a previous post about this which you can read if you missed it and you’d like more information on how to gain authority using Social Media. Producing your own original content (such as blog posts) is a great way to make you stand out in your niche. Sure, you can often find articles that have the information you want to share with your audience – but wouldn’t you rather them click through to your website than someone else’s? Think back to the first section and do it for your website! We’ve touched on this, but I felt it needed to be stated specifically in it’s own section. 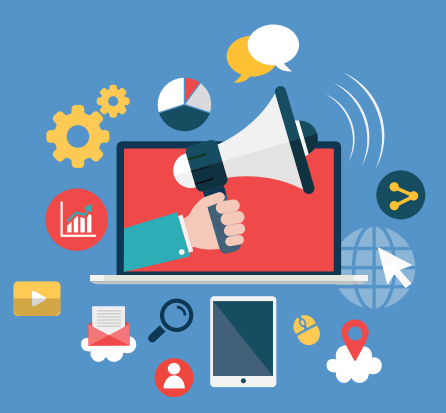 Start business blogging for your customers and potential new customers! Why? So many reasons! Even if it’s not new, people might still need help getting the most out of your product! No-one wants to feel like once they have purchased from you they are no longer important. How-to posts are very popular and you could consider making a video and embedding it onto your post! Blogs don’t have to be just text! If you can help your target audience solve a problem they will remember you! It’s referred to as addressing a ‘pain point’ and is a great way to get people talking about your business. There’s so much information online, it’s easy to get lost in the noise. Stand out from the crowd by offering information, advice and guides that are relevant to your audience and they’re much more likely to remember your brand and remember it favourably! Going back to what we discussed in the website section, if you have a great product and amazing customer service people will buy from you, but only if they know about you! Having a business blog helps your search ranking so more people can find your website and learn out about your business, resulting in more leads and increased sales. I have gained feedback from people in the know about business blogging and collected their thoughts here for you. I asked them “If you only had ONE thing to tell people about blogging for their business what would it be…?” and here are their responses! 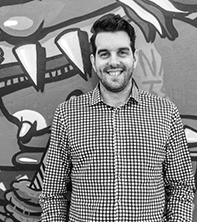 Paul is an Aussie dude teaching Marketers, Entrepreneurs and Startups how to Drive More Traffic, Elevate Engagement and Amplify Conversion Rates. You can visit his website to find out more about Facebook Marketing Strategies. He was also one of my first Social Media mentors! Brooke is an Australian digital marketing specialist with a background in Public Relations. Her niche is helping small businesses and solo-entrepreneurs. She writes a very informative blog, including posts about blogging. There’s also some additional reading you can do, which in all honesty will cover the same ground as we’ve already discussed here, but if you love research don’t let me stop you! 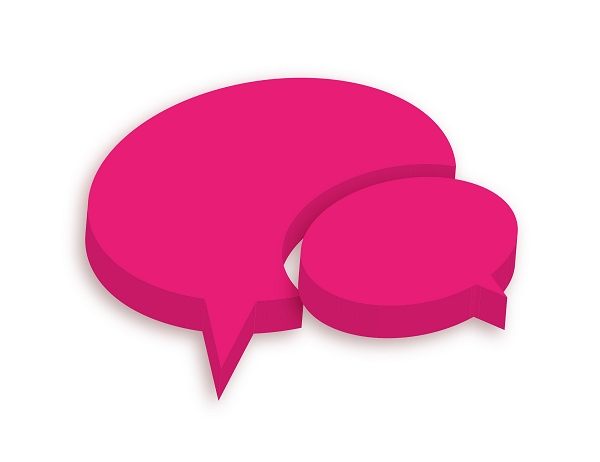 Business2Community – Why Does My Website Need a Blog? At first it may take you some time to find your blog mojo. Once you have a few under your belt you’ll refine your process and it will get faster. OR you can pay someone to do it for you! 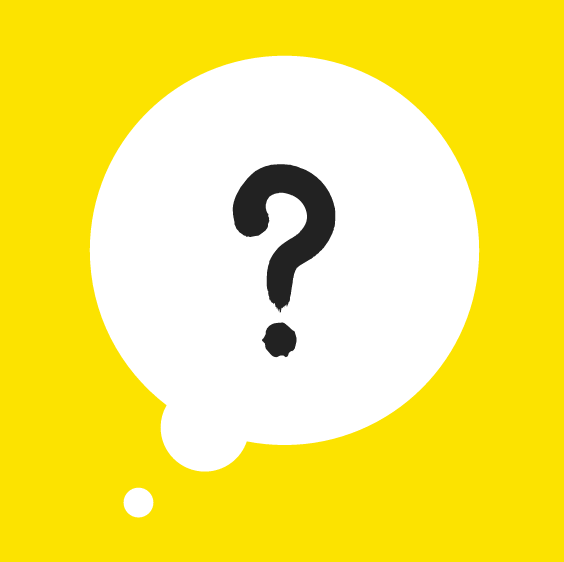 What is it that your customers or potential customers always ask you? What do they need help with? What’s something you always tell people looking at your products? These are great subjects to start on as they should almost write themselves! We discussed that you can outsource this, or have someone better suited within your business to write your blogs for you. Not only that – but blogs don’t have to be text-heavy. For SEO purposes they need to be longer than 300 words (which is pretty short really) and they can be made up of quotes, images, infographics, video, gifs, embedded Facebook posts – you don’t have to be a budding Hemingway to write a great blog post. It’s not enough to have great blog content. You need to publish posts regularly and for this I would suggest having a calendar. It doesn’t need to be anything fancy – you can use your Google Calendar, an Excel Spreadsheet or whatever you feel comfortable with. Write down blog post ideas and map them out so you can continue to post good quality content regularly. This is even more important if someone else is writing your blog posts for you. Know when they are due, when you’ll get your drafts and how long you’ll have for revisions. Your blog posts need to draw people in, and keep them reading! Boring is not going to help you achieve your business goals. Make sure you break up any long sections of text with subheadings, images, charts, videos or anything that’s relevant to kept their interest. Write in the style of your brand. If you aren’t a corporate business don’t write in a formal style. Do YOU! Convey your brand’s essence through your tone and your choice of images. Don’t just Google images and use them. This is a no-no! Read my post on how to find good quality images and don’t get caught using someone’s work. This is simply bad for business! Make sure you proof your work! You don’t have to be a great writer – but you do have to write a blog that’s worth people’s time. It’s not only unprofessional to publish spelling and grammatical errors on your business blog, but Google is a grammar-nazi too! Posts that contain errors will be ranked lower, so do yourself a favour and check your posts, or better yet get someone else to look over it for you. Not only do you need to have a plan of what you’re going to post and actually write the blogs – you also have to distribute the content. This is where your Social Media channels and your email database come in! You don’t want the time you spend writing your business blog to go to waste, which is what will happen if you don’t make sure you promote it to the right people. 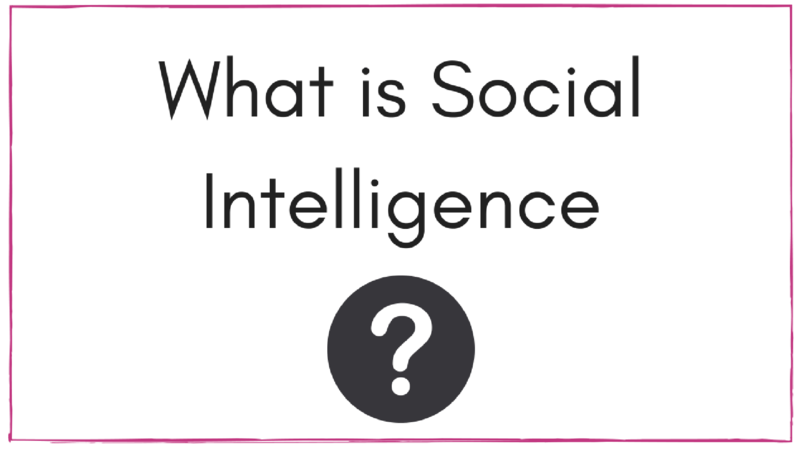 Facebook, Twitter, and LinkedIn are great Social Media channels to get eyes on your blog posts. 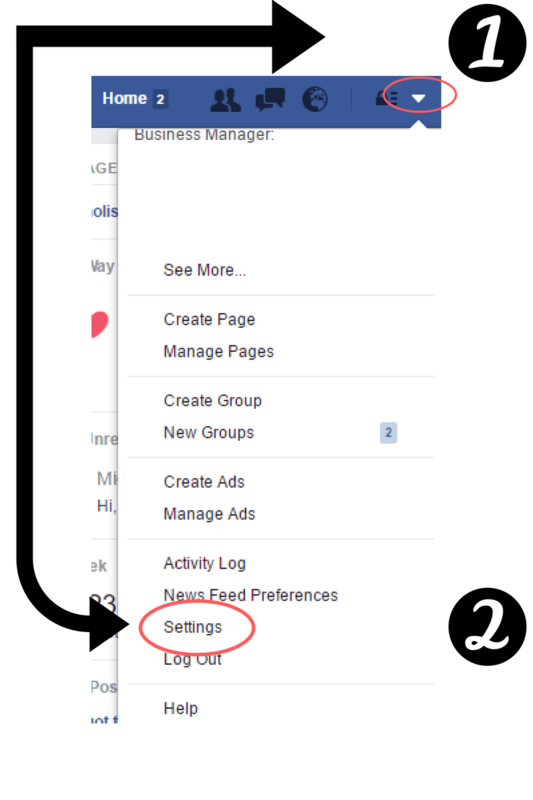 They can include links to your posts and drive traffic back to your website. Remember to include relevant hashtags where appropriate. You can use other channels – but if you’re just starting out I would recommend picking the one or two of these you have the most established following on and starting there. If the content of your business blog is what we call ‘evergreen’ meaning it isn’t time specific, you can post your blogs to Social Media more than once. Don’t make it spammy and you may want to change up the images and messages you post along with it – but great evergreen business blog posts with helpful information never go out of style! So what do you think? Will you be setting up a blog for your business? We’d love your feedback on this post, and if you have any questions feel free to leave us a comment here or on our Social Media channels – or contact us for a private consult!